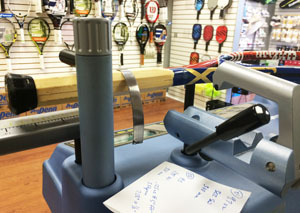 All tennis styles and swings are unique. 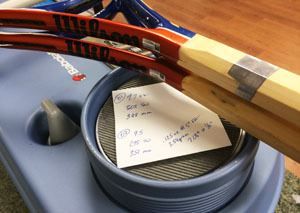 Racquet manufacturers produce a wide variety of frames with varying flex, weight and balance to meet market needs. 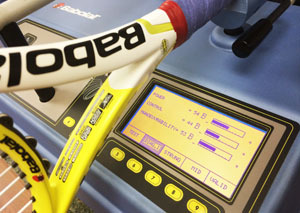 Not everyone falls into these categories and racquet customization fills the gaps. Adding weight to different areas of the frame will produce different results that are both measurable and noticeable on the court. 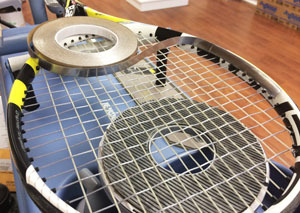 At Wrigley’s Tennis, we utilize the same high end equipment used by racquet technicians on the pro tour to customize and match your frames to achieve consistency when you reach into your bag for another racquet. Speak with an experienced technician today to bring your equipment to the next level that is not only attainable by tour professionals.